A trip to Germany, France and Ireland. Visiting Munich to meet up with friends and co-workers at the DPS meeting, seeing a friend in Paris, visiting the site of my father's D-day adventures, and a quick jaunt through Ireland. 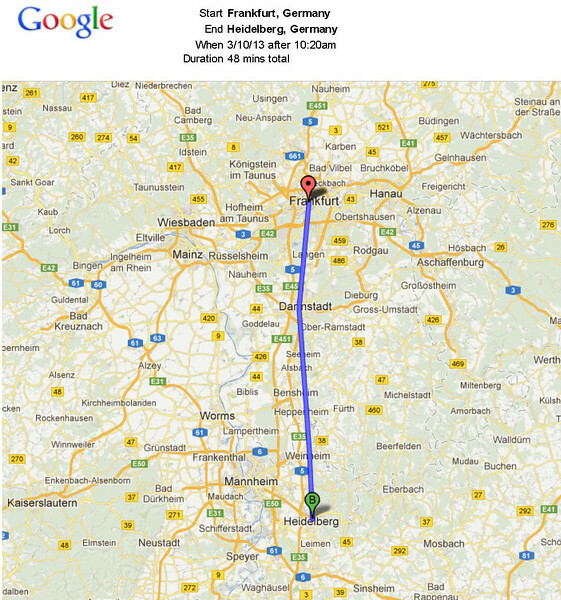 After landing in Frankfurt, we took the train (after a false start) to Heidelberg.